Of all the challenges that foreign residents of Chengdu face, combating air pollution comes with some of the most straight forward solutions. The most important areas which you can protect yourself are by having air filters in your home and place of work. Until a few years ago, the best options for at-home air filters were costly devices made by companies like BlueAir. Cost: around 5,000 rmb. Then the low-fi SmartAir became available, with just a HEPA filter velcroed onto an ordinary fan. At just 200 rmb, this quickly became the most economical and practical option for expats who aren’t willing to pay thousands of rmb for a device which mostly offers no practical advantage over the completely functional SmartAir devices. But now I have a feeling that the disruptor is in the midst of being distrupted itself, by a Chinese alternative. It’s called the Xiaomi Air and it costs 899 rmb. The Xiaomi Air is a smart air filter released by the emerging Chinese smart phone powerhouse Xiaomi. We’ve reviewed a Xiaomi smartphone on Chengdu Living in the past and were impressed with what a 700 rmb smart phone is capable of. The same can be said of the Xiaomi Air – the value proposition is incredibly high for something that costs only 900 rmb. The device is like an oblong white plastic monolith that stands about waist-height. As with other Xiaomi products, the Air looks like it was designed by Apple. The shape is simple and unobstructed by facia, the corners are rounded, and there’s a noticeable lack of both buttons and logos. Inside the Air is a cylindrical HEPA filter which comes out through a hidden door mechanism on the front of the device. It requires no tools and Xiaomi sells the repacement filters for 150 rmb, which are recommended to be changed every 90 days. The important thing that separates the Xiaomi Air from the competition isn’t just the price: it’s the powerful functionality baked into it through its software. The controls you’ll find on a normal air filter are on, off, and fan speed adjustments. 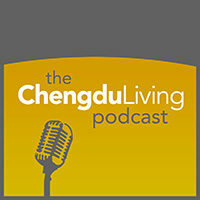 But for us living in Chengdu, I think that’s not enough. Breathing clean air at home in China is worth going through some hassle for, which is why in the past I’ve gone through considerable trouble to automate SmartAir filters and then test and measure the results. Xiaomi Air eliminates all of the hassle and has everything built into one unit. Here’s a quick overview of the smart functionality built into the Air. The Xiaomi Air being almost completely bereft of physical buttons means that nearly all of the settings are controlled through a smartphone app. There are both iPhone and Android apps available, downloadable for free on the iTunes App Store, Google Play, and the Xiaomi app store. There’s a toggle within the app to switch between English and Chinese, but there are no other languages available. If you go to sleep at midnight on weekdays, you can set the Air in your living room to turn off when you go to sleep, and then on again before you wake up. Being able to set timers allow you to conserve filters while still having clean air automatically available when you’re at home. You will no longer need a device to measure particle levels in your home to make sure that your filter is effective. It’s built into the Air. One downside of this feature is that it shows air quality levels according to the Chinese standard and not the more rigorous American standard. Figures provided by the Xiaomi Air are probably best used to measure relative and not absolute air quality levels. The most important thing is to ensure that the device is keeping you safe, and it does that. It also displays the outdoor air quality in the smart phone app, also according to the Chinese national standard, based on your location. Being able to see and compare the indoor and outdoor air quality is nice. One other subtle detail is a hidden LED light located behind the white plastic cover on the Air. When the indoor air quality is acceptable, there’s a green dot which appears on the front of the device. When the indoor air quality is poor or mediocre, the dot appears yellow or red. It’s nice to have a visual indicator of the air quality which you can see at a glance from across the room. Even better to have this information communicated through such an elegant and unobstructive cue. When it’s time to change the filter, the Xiaomi Air will let you know via a push notification on your smartphone. From the Xiaomi app, it’s a few taps to order a new filter and have it mailed to your home using the address and payment information you likely already have on file in your Xiaomi account. For a device which requires a change of filter every 90 days, this is a valuable feature. For years I’ve been using SmartAir filters and writing the date of when the filter should be changed on the filter itself. This has led to me forgetting to check the date and change the filter on many occasions. It’s nice to ditch both the mental burden and the sight of blackened air filters in my living room. After you set the Xiaomi Air, its controls are accessible from anywhere you have internet access through the smartphone app. It’s unlikely that this is a feature you will use on a regular basis, but it’s nice to be able to have remote control if you leave on vacation and forget to switch it off. Download the Xiaomi Smart Home app (??????) and plug in and turn on the Xiaomi Air. Connect to the Xiaomi Air via the wifi network it creates automatically and open the Xiaomi Smart Home app. Here you will input the login credentials (SSID and password) for your home wifi network. This allows the Air to remain connected to your home internet and have internet access. Login with your Xiaomi account, or register a new one with your email address or phone number. This will make the Air accessible from anywhere with your Xiaomi account. The app will guide you through the functionality built in, including all of the features mentioned above. If your device is set to English, the Xiaomi app will automatically appear in English as well (with the exception of the app name which appears under its icon as “??????”). For the last few years we have enthusiastically recommended SmartAir filters. It was only a few years ago that some very savvy Americans in Beijing discovered an incredibly low-cost, practical solution to a widespread problem in China. The SmartAir is still a great option to consider and you can find more information on that in our Q&A with SmartAir and on their official website. There are a few places where you can get the Xiaomi Air, but to ensure that you get the real product without any hassle or additional fees, we recommend ordering directly from Xiaomi. An alternative to that is to order from JD.com at this address: ?????. This comes from the official Xiaomi account on JD.com and not from a private vendor. 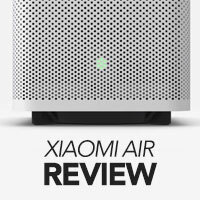 Have any questions or comments about the Xiaomi Air? Leave a comment below! I don’t think they will go broke anytime soon. Their business model is solid. They negotiate substantial price reductions with their sub-suppliers over the life of a product. Then limit the amount sold at release. This forces many consumers to wait, makes the product more desirable and builds hype. Most consumers end up purchasing the product much later at the same release price, but at a far lower manufacturing cost to xiaomi. With smartphones it feels like there are tons of similar companies in China that are also releasing high quality but shockingly cheap devices. The new 锤子 (Smartisan) phone that just came out this week is 899 rmb and is really impressive. But the sheer quantity of products that Xiaomi offers makes them something like the Ikea of electronics. And in my experience it’s all at a great value. Not best-in-class but the value of these products cannot be beat. I saw this phone a week ago and was really impressed. Super functional, very attractive, and obviously ultra competitively priced. I like the Ikea of electronics idea. I agree. What’s interesting about this product is that unlike almost everything else that Xiaomi makes, it seems to not just be cheaper than the competition but to also offer significant innovation at the same time. These are the products that Xiaomi makes which are really exciting to me, that aren’t just cheaper versions of other electronics which are otherwise better (like Xiaomi 4 versus iPhone, the Xiaomi Yi versus GoPro, Xiaomi smart lightbulbs versus Philips Hue, etc). Look at the other air purifiers on JD.com and you will quickly see that the Xiaomi Air blows away the other filters that even cost twice as much. Actually I think that comment made a lot of sense. Apple nearly disappeared completely 15 years ago, and look at Nokia. HTC is now circling the drain and they were tipped for greatness a couple of years back. Smart phones are a difficult game, which I guess is why xiaomi are diversifying. Charlie what about the noise level? The noise level on the Xiaomi Air is noticeably quieter than the SmartAir filter, even on the lowest setting. It’s very quiet. It doesn’t have a sleep mode though, which his something that I like about a Philips air filter which I have in my bedroom (where noise is much more of a factor). Noise is not an issue, though. Charlie, thanks for reviewing the Xiaomi. Have you used an air particle counter to measure how effective it really is? How large an area can the Xiaomi clean? What is the noise level compared to the Smart Air small and big models? I haven’t used an air particle counter to measure how effective it is, but it has a particle counter built in and that’s what I have used. If the air in the room is dirty and the Xiaomi Air is turned on, it’s clean in less than an hour. There are three different strength settings on the fan, the highest setting being pretty powerful (and loud). Regarding noise, it makes less noise than the small SmartAir, which is the only one I have. I don’t have the larger SmartAir but I have some friends who do, and that one is very loud. I probably wouldn’t recommend using the large SmartAir (the canon) while you are in the same room just because of the noise it generates. It’s a really powerful fan. Got one delivered today. It’s pretty awesome I will test it out maybe buy two more. Awesome, congrats. I don’t think you will regret it! There is an American Dr. in Beijing who reviews this unit plus several others that all cost less than 1,000 RMB. I thought about buying this unit but ended up buying a Sharp unit instead. When I was researching these air filters, I came across article that stated this particular unit that Xiaomi is selling is a copy of an expensive unit that sells in Japan for over 6,000 RMB. For 899 it sounds like a great deal! Thanks for including this link, I had not seen this! I didn’t know that the Xiaomi was a copy of this Japanese filter but it’s very clear that it is. It makes sense, Xiaomi seems to find a lot of success by copying many different things and offering them at a super low price. 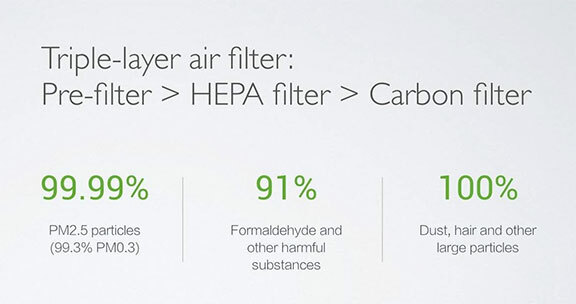 I have one of the Philips air filters mentioned in that comparison, the Xiaomi has basically made it obsolete (along with a few Smart Air filters that I also have). Great to have this kind of hard data available on the Xiaomi online, as well as comparison to so many other units. Again, thanks. That link was just for the units under 1k. The same Dr. posted another page with tons of info on some of the more high end units. For most people these are probably overkill. The app is available in Chinese (of course, being Chinese), it is likely setting the language automatically based on the language your device is set to use. If you want your phone to be in English but this app to be in Chinese, that might not be possible. Hope this helps you out. Thanks for the tips, I just bought a Xiaomi and I love the control of the machine, with an APP on your smartphone, a simple click could refresh the air of your home! 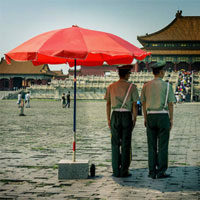 You could also have a look at this link about the trend for the purifier market in China.